Like the flora and fauna that inspire her, Mary Michola Fibich’s artwork carries an abiding feeling of wonder, hope, and optimism. With scrupulous attention paid to every detail from the delicate seeds to the gentle folds of a flower, her paintings and fiber art pieces capture the essence of the natural world and all its radiance. As its elements persist in growing and blossoming in ever-changing ways, her pieces are designed to convey the beauty and light that have the power to restore us. Mary’s connection to nature began as a young child in her native Colorado, tending to her mother’s gardens and hiking among the streams, aspen forests, and wildflowers of the Rocky Mountains. After earning degrees in fine art and art therapy she worked as a registered art therapist, using the healing qualities of art and creative writing to help others. While working with individuals struggling with post-traumatic stress disorder in the early 1990s, Mary used her own art as a respite after coming home from work, specifically, using watercolors to recreate the elegance and grace of blooming flowers. This focus on beauty and light offered restoration after long days spent processing intense pain and grief. It was evident that the joy of her work resonated with others as well when she gained a following of collectors who commissioned her paintings. 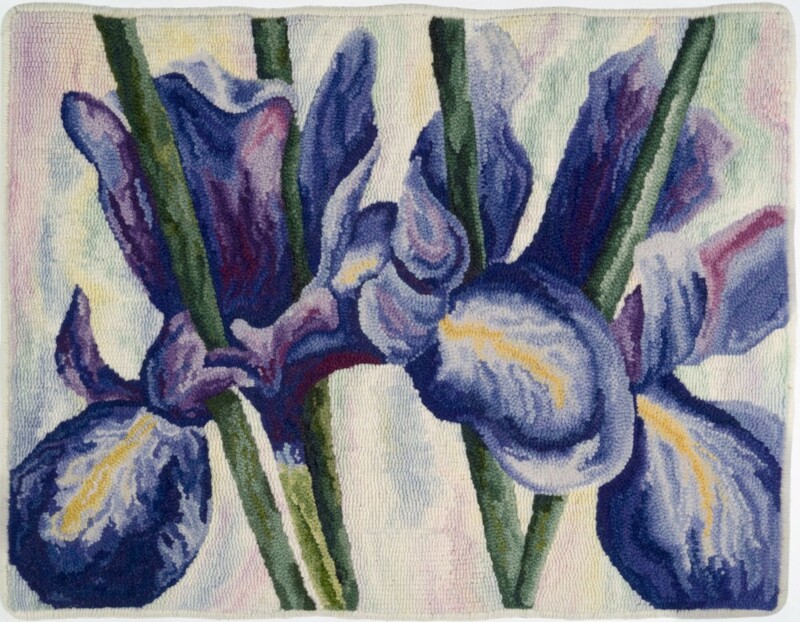 Inspired to explore her art in new mediums, Mary studied the traditional crafts of rug-hooking and needle felting and began to recreate her watercolor paintings with wool. These too garnered a following of clients throughout the United States and abroad who were moved by her joyful and sanguine art. Today, her pieces are not only sought after by individual collectors, but are also featured at several organizations and in various publications. Her work has decorated the walls of the Mayora Rosenberg Women’s Health Center at the Swedish Covenant Hospital in Chicago and the lobby of the Maine State Office building. Mary currently resides with her family in the coastal town of Cape Elizabeth, Maine, and paints, felts, and hooks from her home studio. Just as many generations of artists have, Mary finds continual inspiration from the breathtaking land and seascapes that surround her. Mary’s original paintings, felted art, giclée prints and greeting cards can also be found in her Etsy shop~”MaryMicholaArt” and retailers interested in setting up a wholesale account can contact her at mmichola@mac.com.